The University of the Western Cape joined forces with OneBio, Africa’s first biotech incubator, to design a mini incubation programme. It has unearthed some revolutionary biotechnology ideas – from a cannabinoid vape to using industrial reject brine for cosmetics and food production, among other things. Students from the Institute for Microbial Biotechnology and Metagenomics (IMBM) submitted their biotechnology business ideas and comprised four of the only seven UWC teams that were selected to participate in the week-long programme from October to November 2018. They were introduced to the fundamentals of taking a biotechnology concept to market and were given insight into the industry. The highlight of the week was a pitching event at the Cape Innovation and Technology Initiative. Teams presented their business concepts to a panel of esteemed judges from the public and private sectors. 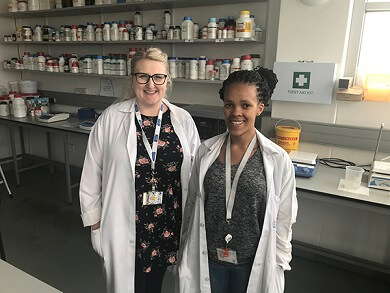 Kirsty Botha and Kanyisa Ndata took top honours with their AsterChem business concept which involves making cannabinoid products from the South African plant, Helichrysum umbraculigerum. They won laboratory services worth R50 000 from the Centre for Proteomics and Genomics Research (CPGR) and a three-month residency with CPGR and OneBio to develop their concept and business model. These products, which include Heli-CBG oil and a Heli-vape pen, will offer the health benefits associated with cannabinoids but will be free of the psychoactive ingredient tetrahydrocannabinol (THC). Kirsty and Kanyisa aim to provide a safe and sustainable source of cannabinoids to the South African market. Metabolic profiling will be employed to ensure that every batch has a similar chemical composition. The second prize was awarded to Anesu Moyo for his concept, HaloPhyle, which is based on technology that uses industrial reject brine to produce high-value carotenoids. Carotenoids are among the most abundant natural pigments. These pigments have potential beneficial uses in human healthcare, food processing, pharmaceuticals and cosmetics. Dietary carotenoids are thought to provide health benefits associated with decreasing the risk of disease, particularly certain cancers and eye disease. In part, the beneficial effects of carotenoids are thought to be due to their role as antioxidants. Although not awarded a prize, the business concept of Katrien King, Danielle Leukes and Randall Fisher piqued great interest. Their concept, A-Grow, aims to produce customised biofertilizer containing a unique mix of microorganisms, plant growth promoting substances and soil-and-plant immunising bacteriophages. Phage therapy is a safe and environmentally-friendly “cutting-edge technology” that serves as an alternative to conventional pesticide treatments. “These students are the future of our country’s life science ecosystem, and if we can play a small part in directing them towards growing the economy through bio-entrepreneurship, that would be very satisfying,” says Michael Fichardt, Co-founder and CEO of OneBio. 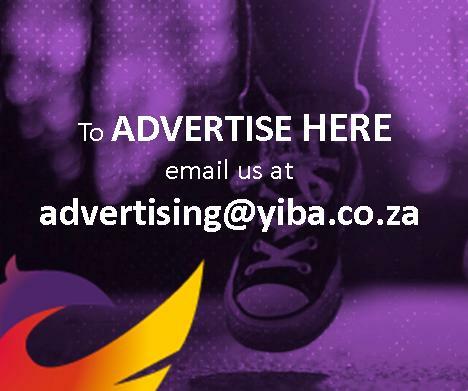 According to the company, several mini-incubation programmes are on the cards for 2019.